The women’s Premier League team started the season in great style with a 6 matches to 0 win against Royal South Yarra last Sunday at Beaumaris. Seone Mendez & Gen Lorbergs teamed up at number 1 to win their match 6-1 6-3 while Alana Parnaby & Helena Spiridis combined at number 2 for another straight set win 6-2 7-5. 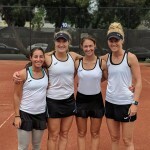 The singles matches all were won in straight sets to complete the clean sweep on the day. Last nights match against Hume Tennis at Kooyong was a delayed start after some rain but the matches soon heated up in the doubles. 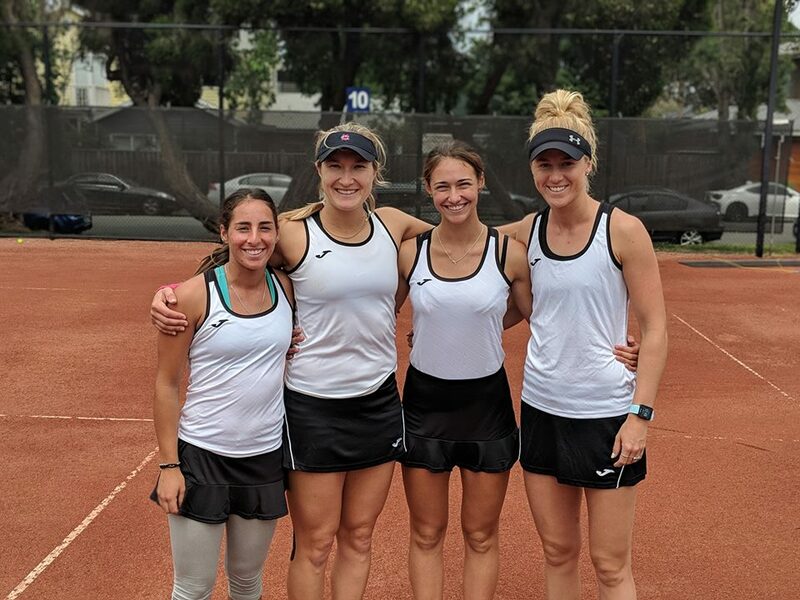 Seone and Gen once again teamed at number one to take on the two international players Julia Kimmelman and Lisa Whybourn and won a close match 7-6 7-6. The number two doubles pairing saw Tamara Bajagic play her first match for our women’s Premier League side partnering Alanna. They also won an extremely close match 6-7 7-6 11-9. With the late start and long doubles matches, all four singles went on court at the same time late into the night. Seone put in another dominating display with a 6-0 6-3 win at number 1, while Gen and Alana both won close straight sets matches. At number 4, Tamara played a tight three-set match, eventually going down in a third set match tie-break. Overall, a 5 match to 1 victory! Well done girls!! Next up is a match on Sunday the 11th at Hume against Beaumaris.